The wireworm is slender, jointed, usually hard-shelled, with three pairs of legs, and tan brown in color. 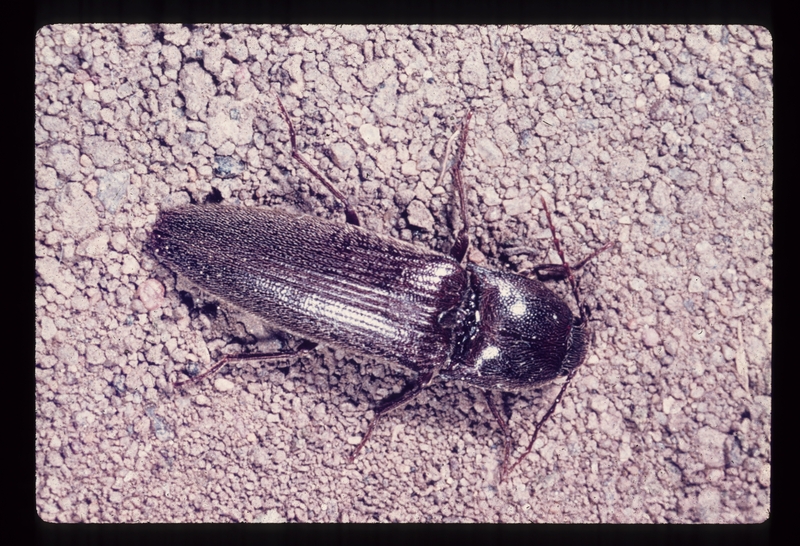 This is the immature stage of the click beetle, which deposit eggs on soil during May and June. Grasses, sod and sorghum-sudangrass are favorite egg-laying sites. Eggs hatch to become wireworms that feed below-ground on seeds, roots, tubers and other plant tissue. Wireworms feed for several years before pupating and emerging as adults. Thus, a wireworm problem in the spring probably means there was an attractive grass crop present sometime in the past 3-5 years. 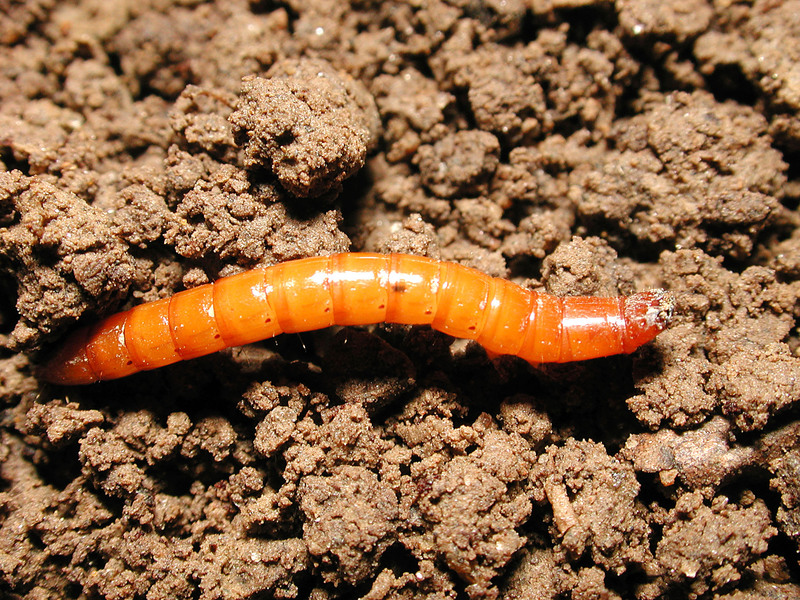 Wireworms also prefer wet soils and moderate temperatures; they migrate up to reach warmer soils, but down to avoid excessive cold, heat, or drought. Unfortunately, practices that enhance organic matter in the soil may actually worsen wireworm problems. For example, one field where wireworm caused significant damage to early peas had been rotated through two years of rye cover crop to build organic matter. Another instance occurred after a thick winter cover of vetch and rye.